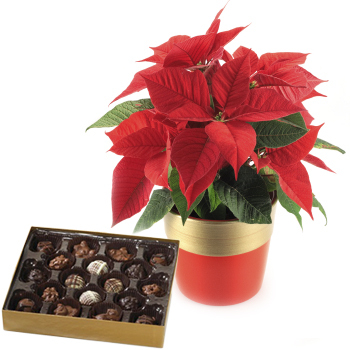 No flower says happy Christmas or happy New Year like the beautiful poinsettia plant in a stylish pot. 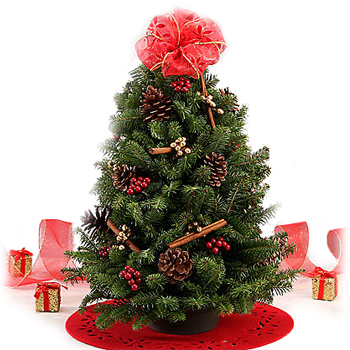 Contrasting bright red and deep green colors create a cheerful holiday mood and will become the best centerpiece of any holiday table. 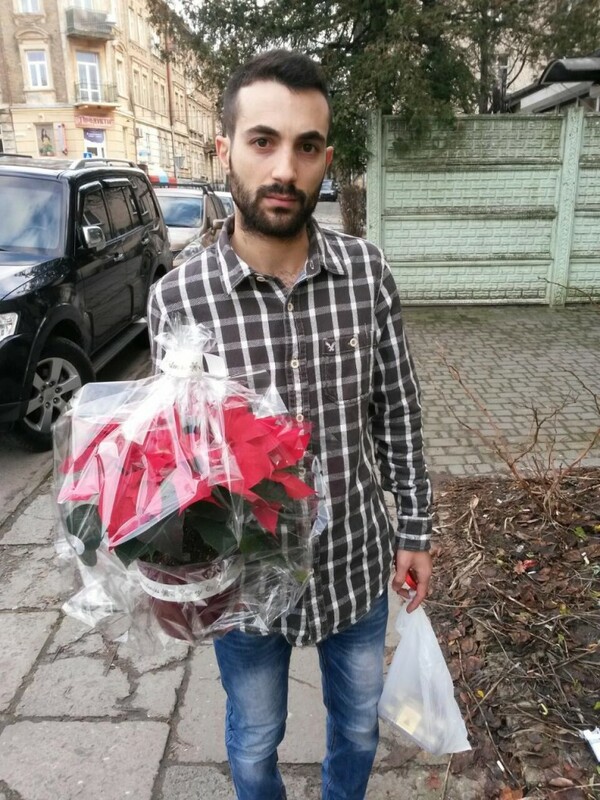 When you need to send a simple, elegant but meaningful New Year gift to Ukraine for business colleagues, partners or clients charming poinsettia might be that perfect option you’re looking for. 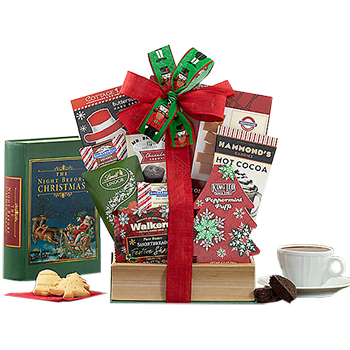 It’s also appropriate for personal gift giving when you want to send your best holiday wishes to relatives, loved ones and friends. 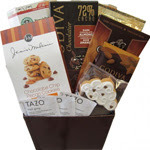 The gift can be easily customized to fit any particular occasion when paired with something delicious and easy to enjoy with family and friends. 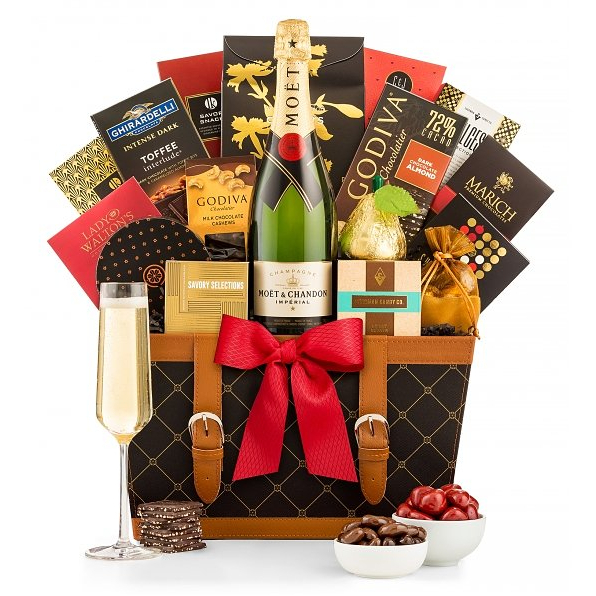 A box of gourmet milk or dark chocolate, festive cake, a bottle of exquisite wine or even a gift basket full of delectable treats are some of the great pairing options suitable for any budget and needs. 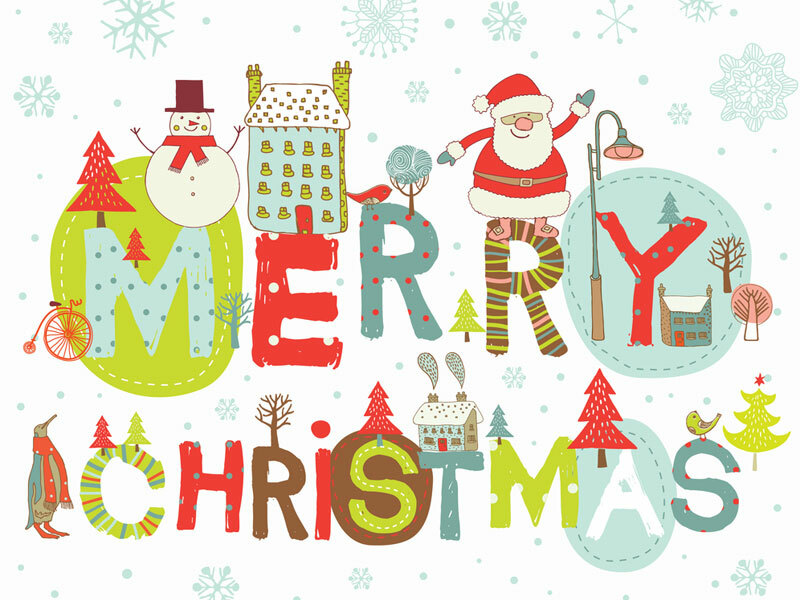 Even though Christmas is over there’s still time to wish happy holidays to your nearest and dearest as well as business associates and international clients. 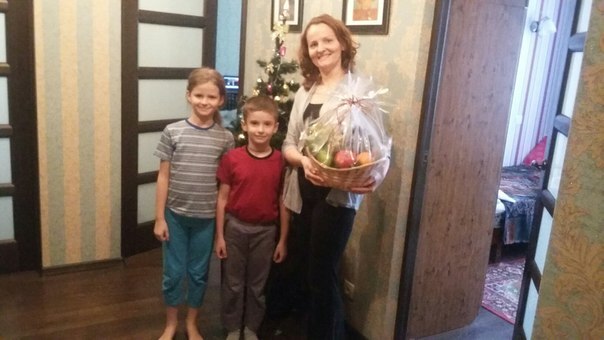 In some countries there’s a custom to give presents for New Year’s and Orthodox Christmas that is observed on January, 7 according to the Gregorian calendar used in many Eastern European countries. 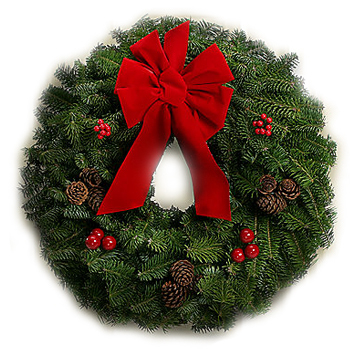 If you didn’t have a chance to celebrate with those you care about on December, 25 take your last chance and send a token of your love now. 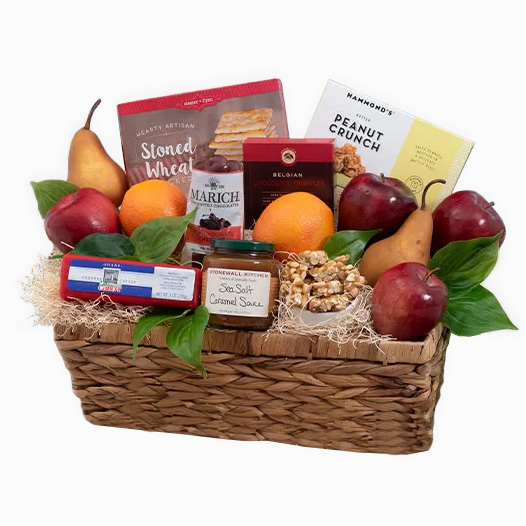 A woven gift basket to Czech Republic filled with fresh ripe fruit, chocolate, sweets and other delicious snacks will be perfect for sharing between family members and friends. 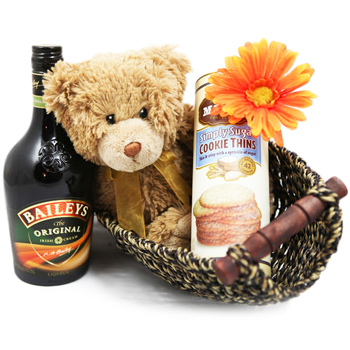 For business and corporate gifts a hamper with delectable gourmet goodies and exquisite alcohol will be appreciated by everyone regardless of the occasion. 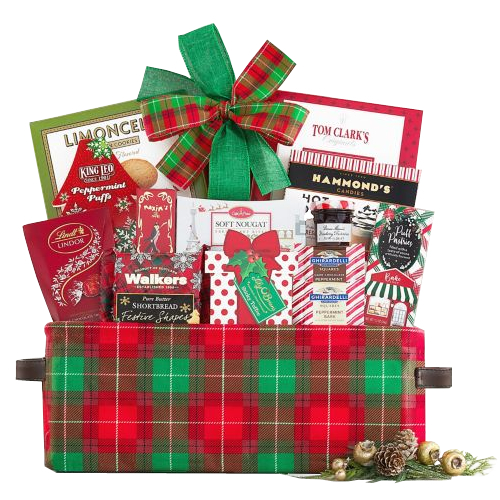 “I ordered a Christmas basket for a relative in LA, as it was close to Christmas I was concerned that it would not be there on delivery date, as it turn out it was delivered the morning after the requested date, however I was aware that it might be a little late as it was stated on the order page. 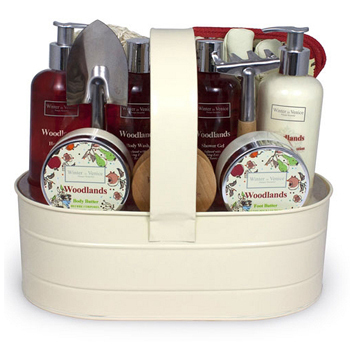 I am very satisfied with the service and my relative was very happy with the basket. I will certainly use this service again. The holiday rush is here, but there’s still a little time to send your warmest wishes to the people you love and respect, no matter where they are. 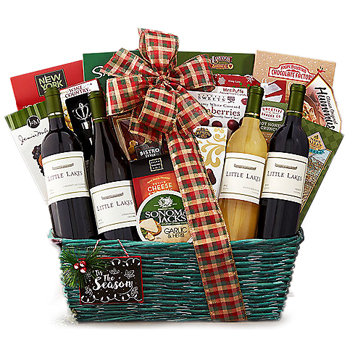 Show your business associates, partners or corporate clients how much you appreciate your relationship with a Christmas gift basket to Switzerland that’s brimming with delicious treats and exquisite wine. 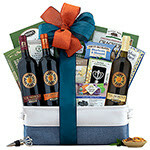 Two bottles of high quality red and white wine are nestled in a wicker hamper with creamy Boursin cheese spread, robust gourmet mustard, crackers, cookies, assortment of dark and milk chocolate, roasted mixed nuts, and more gourmet treats so perfect for sharing with family and friends. 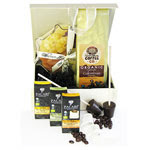 If there’s not enough time for Christmas delivery, there’s still time for New Year’s! 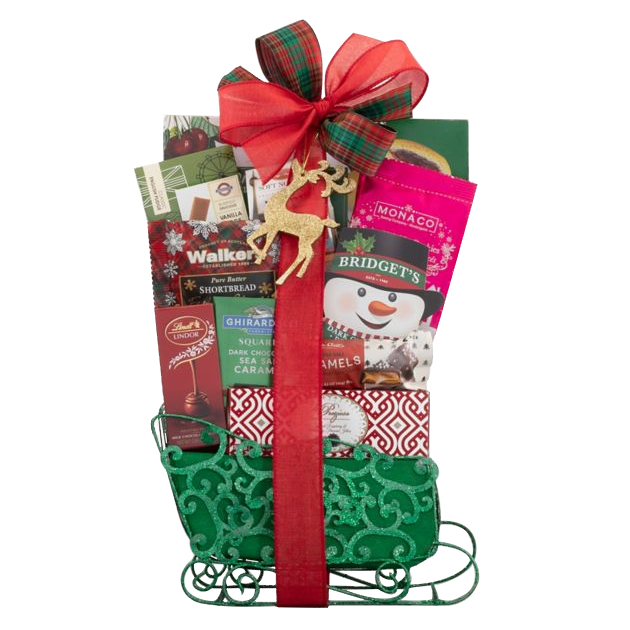 Hurry up and start your gift shopping today to make sure your dear recipients have a wonderful holiday with the gifts they deserve! 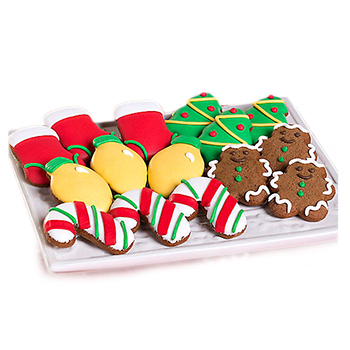 Treating co-workers and friends during winter holidays can be difficult to navigate. 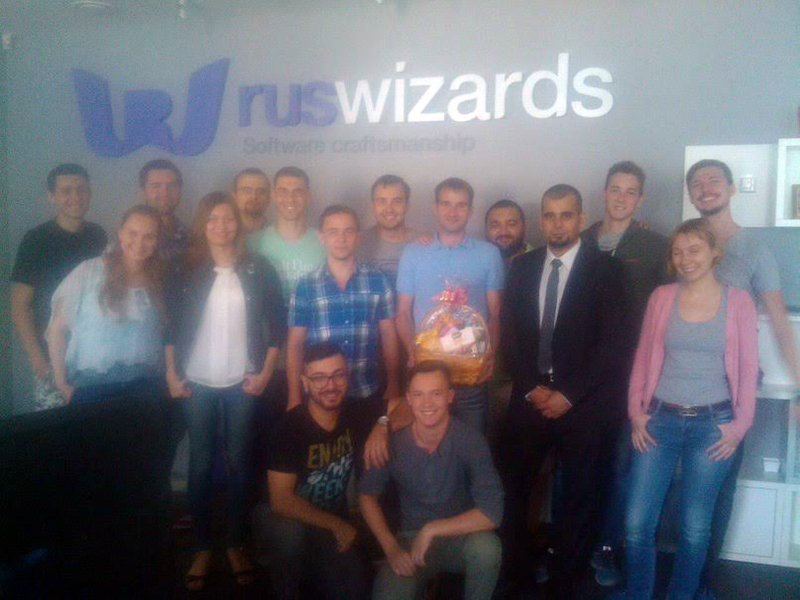 Throwing an office party is a great way to get the team closer together, and boost spirits after a long hard-working year. 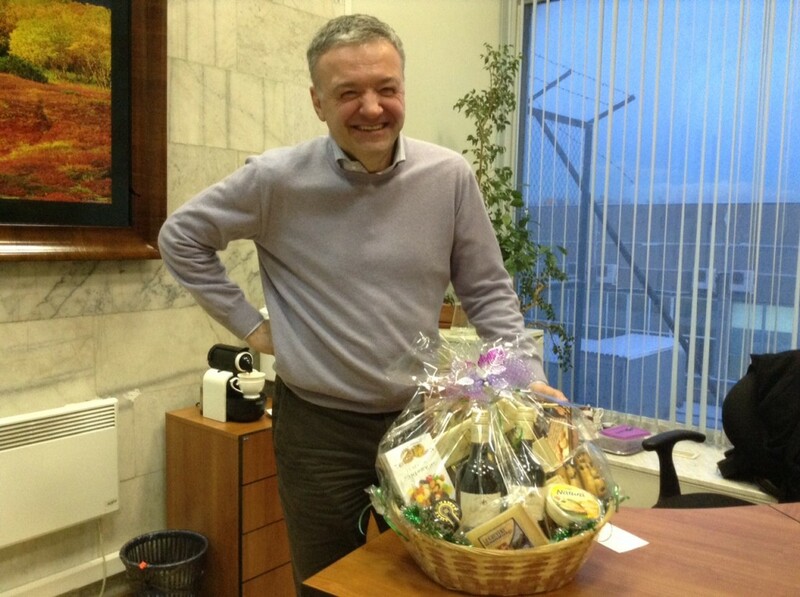 Show your employees, colleagues, business associates or clients your appreciation and gratitude with a classy gourmet gift basket to Russia that will help them blow off steam and get ready for Christmas and New Year’s. 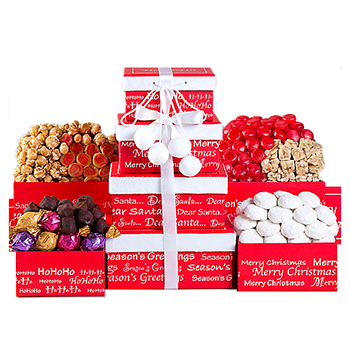 Your recipient will receive a luxurious box of Ferrero Rocher Chocolates, rich dark and gourmet milk chocolate, delicious cookies, roasted nuts, cheese assortment all perfect for sharing with the team. A bottle of Martini Asti Sparkling Wine and bottle of crisp Absolut Vodka will top it all off. Make sure your offices is closer than ever by ending this stressful year with a tasteful and relaxing surprise everyone is sure to appreciate. 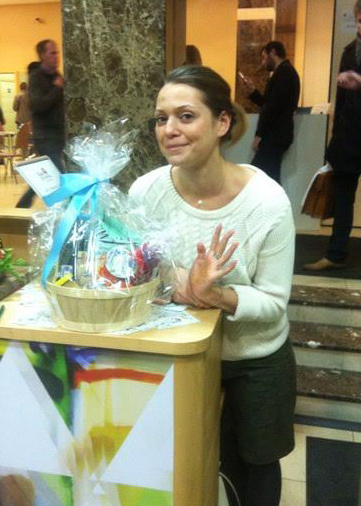 “I had a last minute idea to send my friend in Belize a birthday gift basket. As a first time customer, I am delighted with the service. It was delivered right on time and my friend loved it. 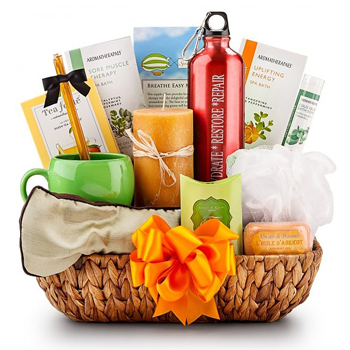 I especially loved the handwritten note with my message that was included because it gave the basket a personalized touch, as if I’d written it myself. I will definitely be using this company again. Working behind a desk can mean not getting enough sunlight to build up one’s Vitamin D especially during long dark winter days. Help your dear ones, valuable friends, colleagues or business clients get a delicious burst of Vitamin D – an important and powerful compound that enhances the body’s absorption of important minerals. 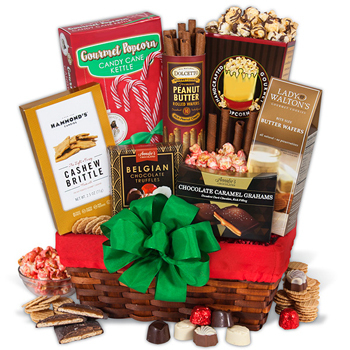 Your recipients can’t help to enjoy the dietary and taste benefits of gourmet cheese assortment, crunchy dried nuts, delicious fish among other healthy treats. 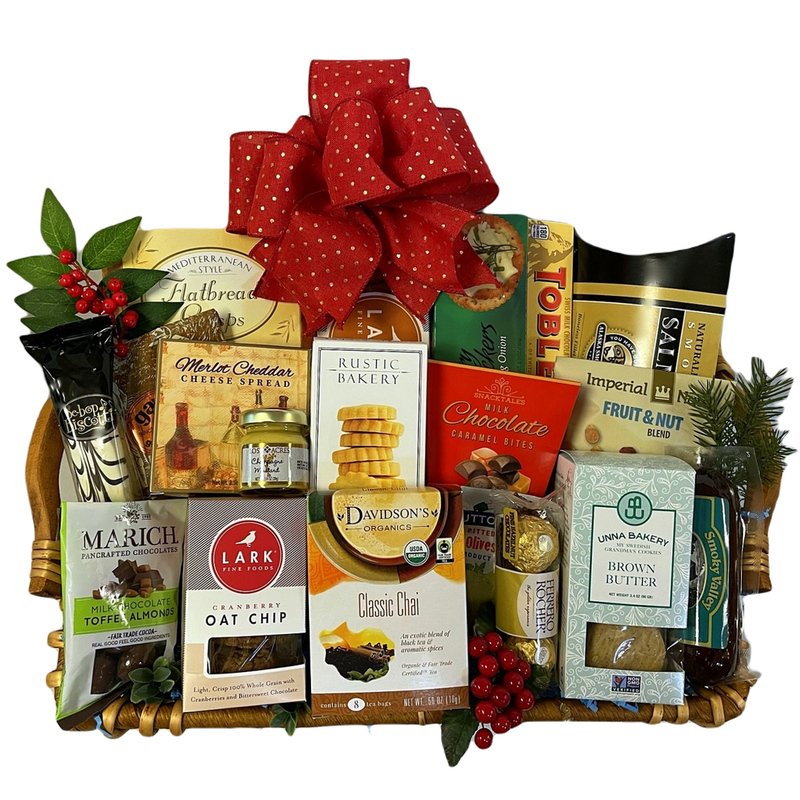 Send your warm thoughts or well wishes this Hanukkah, Christmas, New Year’s or anytime you want to say ‘Get Well’, ‘Thank You’, or ‘I’m Thinking About You’ with this wonderful gift basket to Finland.